Is there a better alternative to Magic Vines? Is Magic Vines really the best app in Puzzle category? Will Magic Vines work good on macOS 10.13.4? 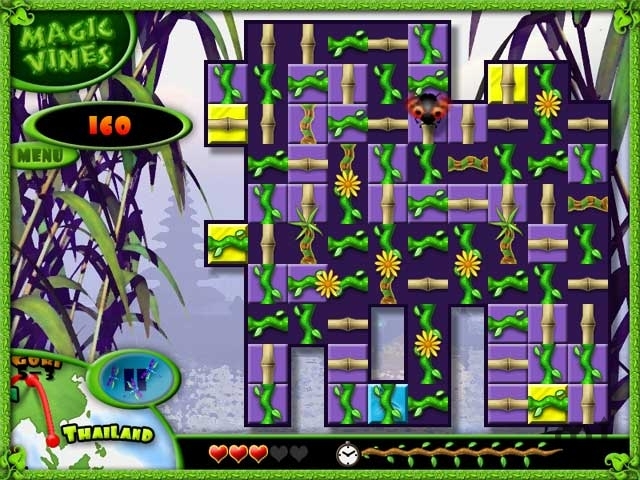 Magic Vines...Pack your bags and get ready to travel the world on a puzzling adventure with Magic Vines. Line up vines in groups of three or more to clear the board and embark on the next challenge. Once you complete the challenges of each locale, fly off to a new part of the world and face challenging puzzles. Take off on an exciting adventure without ever leaving your favorite chair! Magic Vines needs a rating. Be the first to rate this app and get the discussion started!